Final Special Moments from KDP Convo! Dr. Nathan Bond accepts the 2013 Lucinda Rose Counselor Award. 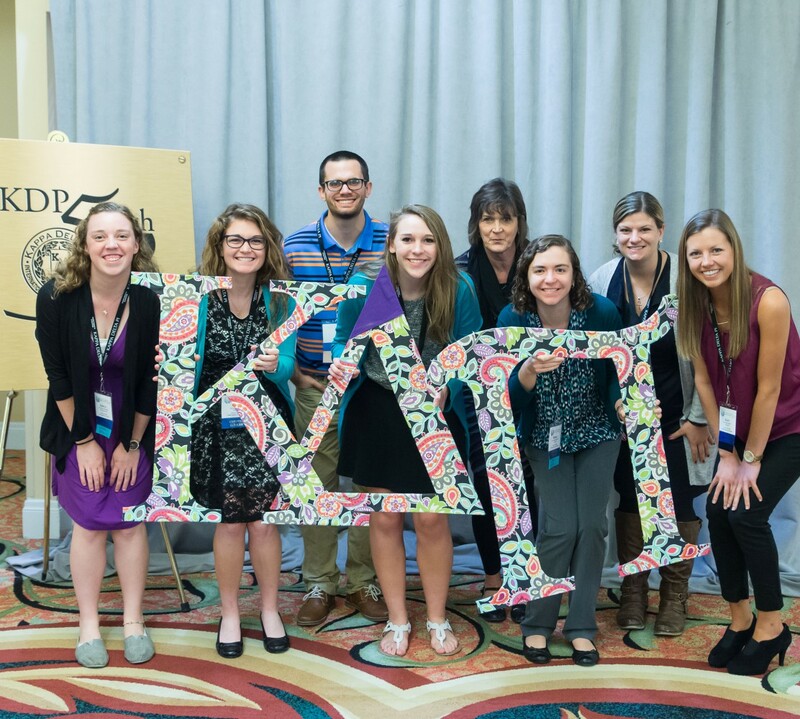 Kappa Delta Pi’s 49th Biennial Convocation wrapped-up Saturday evening with the Closing Banquet. As I’ve mentioned before, this was my first KDP Convo, and I was lucky enough to be on stage to help hand out some awards to these prestigious educators and see their excitement (many of the award winners were announced prior to arriving in Dallas in the 2013 Awards for Excellence booklet). I also had a front-row seat to hear the 2013 National Teacher of the Year speak. Here’s a quick recap of the final special moments from the Closing Banquet. The National Student Teacher/Intern of the Year Award was announced first, a joint honor given by KDP and the Association of Teacher Educators. This year’s award went to Kappa Delta Pi member Jenna Haskins. We were lucky enough to have a few of Jenna’s family on hand as she received this great honor. She teared up (as did I!) as she thanked her family for their guidance and support on her journey to become an educator. Dr. William C. Bagley Award for Leadership Excellence: Dr. O.L. Davis, Jr. The final Founders Award given is the Florence B. Stratemeyer Award for Chapter Excellence, which is the highest scoring Achieving Chapter Excellence (ACE) Award chapter. The ACE Award recipients for the 2011-13 biennium were announced earlier this year. This year’s overall winner was Sigma Omicron Chapter, University of Indianapolis. 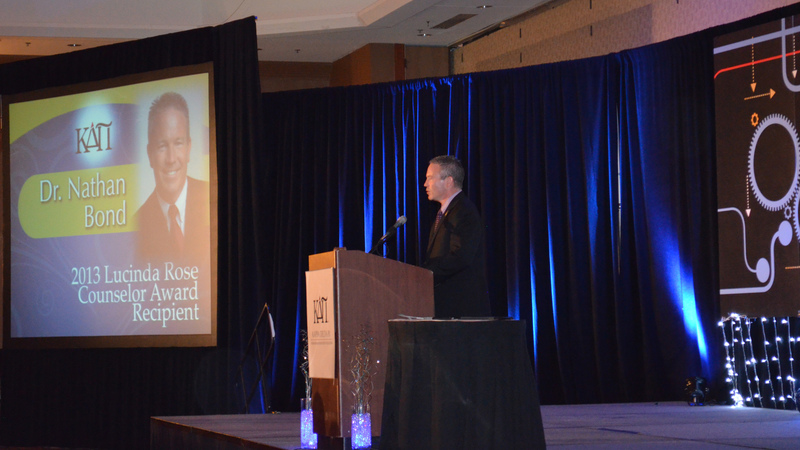 After the awards were given, 2013 National Teacher of the Year Jeff Charbonneau gave a keynote speech. He spoke about his experience as a chemistry, physics, engineering, and architecture teacher at Zillah High School in Washington, where he attended as a student. Jeff started the Zillah Robot Challenge in 2008 (also called Nerd Day), a free robotics competition for all students in Washington State that allows students to practically apply math and science learning. Apart from leading this program, Jeff is also the assistant director of the drama department, which brings in more money than all of the sports teams combined; yearbook advisor; co-founder of Leopard Pathfinders, a hiking, backpacking, and ecology program; and former varsity baseball coach. Jeff’s school is small and not well funded, but what he says makes his school graduate more that 95% of its students each year the teachers’ dedication to focusing on the child in front of them at any given time. He instills in his students confidence, citizenship, resilience, and a sense of legacy. What a moving message and perfect way to end the Society’s 49th Biennial Convocation. If you weren’t able to attend in person, we hope you were able to join in on the fun via social media by following our hashtag #KDPConvo. See you in Orlando in 2015!